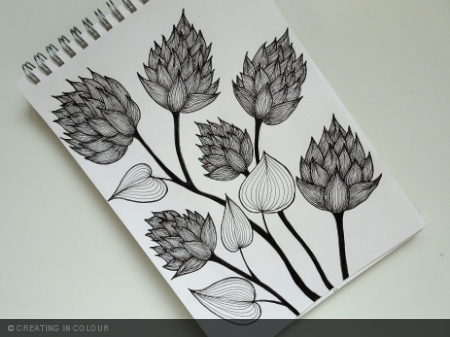 that is great, beautiful this form of the flowers and the shading of the patterns in it! Thank you, Elke, for visiting and taking the time to comment. Very much appreciated. Very nice!! Not a stalker just checking all the inktober work! Stalker? The thought never entered my mind. Just glad you like looking at them. It makes the effort more worthwhile.